Forgive and forget? I never used to understand this. If you have been slighted, if someone harms you, why would you ever want to just forgive? It was not until just a few short years ago that I realized that fogiveness is not just about the other person. 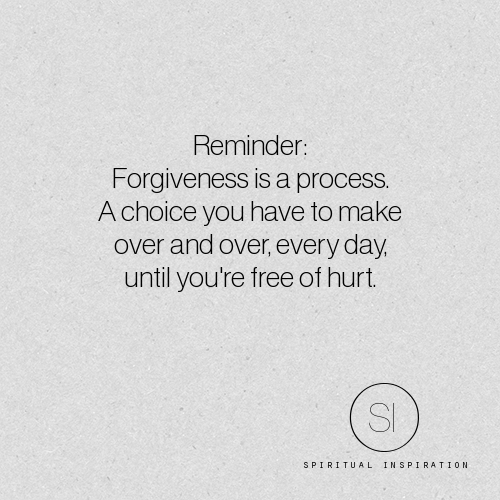 Forgiveness is for you. When YOU choose to forgive you take the power away from the person that hurt you – and at the same time you are giving yourself permission to be empowered and choose your own feelings.